The idea of using the sun to light up a room is not a new concept. In fact the idea of using openings to let in light developed in ancient Rome and continued past the middle ages. Structures as old as the Pantheon (still in use today) have used top lighting. Although larger openings similar to the Pantheon’s oculus were not practical in Europe due to weather concerns, the idea that a building could have light and venting was popular. 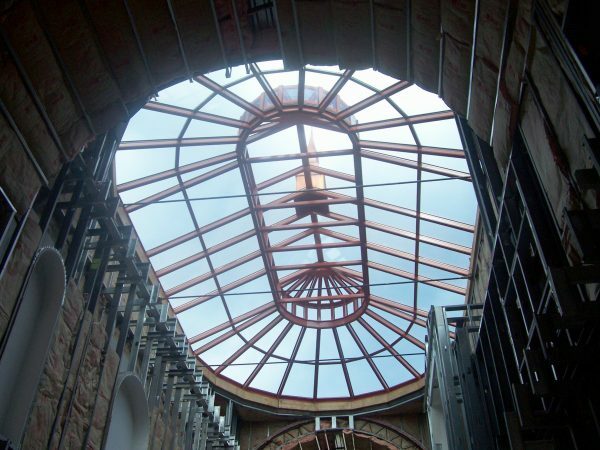 Adding a lantern shaped structure on top of the building provided a bit of insulation against the elements while providing the benefits of light and air. Because glass making at this time was still in it’s infancy, glazing wasn’t a consideration for most window openings so there was still the possibility of down drafts or moisture entering the structure. 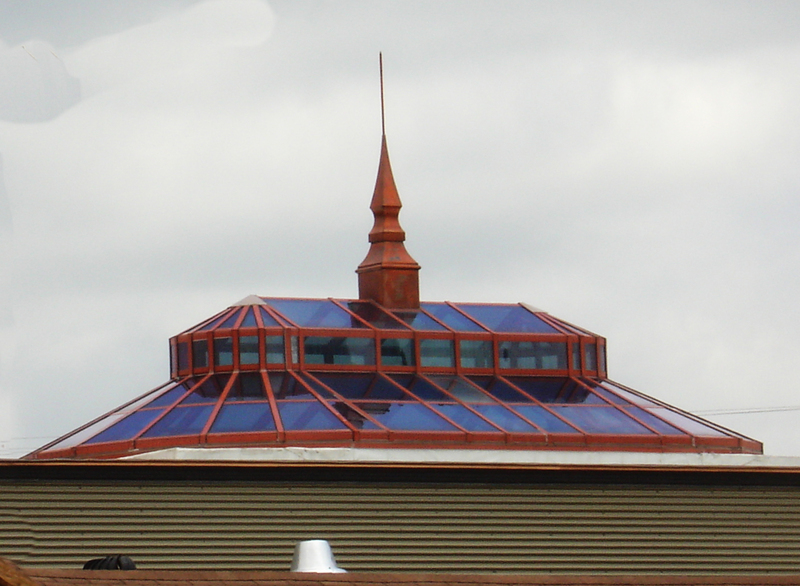 Even so, there were many examples of buildings with “roof lanterns” in ancient Rome and up to the 14th century. Romans were the first to begin using glass in architecture. In fact, glass became a major item of trade beyond the borders of the Roman Empire. About 1000AD fenestration began to feature glazing when the finances of the building’s owners would allow. By the end of the 13th century the glass industry had migrated and was firmly established in Venice. Venetian Angelo Barovier is credited with inventing clear glass (cristallo) panes around 1480. The new glass lacked the greenish or yellowish cast that came from iron oxide. 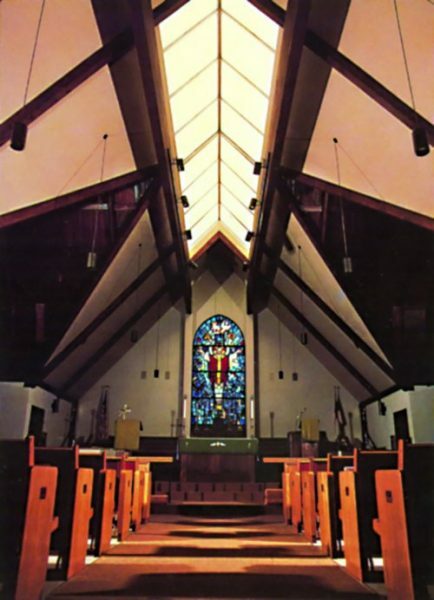 Even so, glass was still very difficult to make in larger pieces and could only be up to 3′ tall at the most. Because of the cost and size, glass panels were generally restricted to the lanterns in cathedrals and some castles windows. During the 14th and 15th century the lanterns themselves became the smaller top piece (cupola) to a more domed shape bottom. This ornate architecture was generally restricted to the top of cathedrals. At the same time glass production was becoming more common. An English glassmaker, George Ravenscroft, came up with lead based glass in 1674. 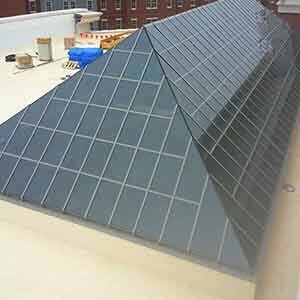 The addition of lead improved the appearance and made the glass easier to work with when hot. Consequently, the lantern pieces during the Renaissance and Baroque periods featured masonry windows all around with glass. While aesthetics took precedence over function, the domes under the lantern were more in proportion to the overall building and became the decorative piece, the ability to conduct light into the building was still considered a primary goal. 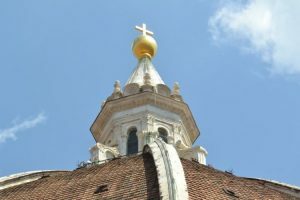 The Cathedral of Santa Monica del Fiore (Duomo) is an example of a Renaissance era lantern and cupola combination. When possible, the glass was framed with timberwork for a more appealing look, even though they were prone to leaking. With the dawn of the Industrial Revolution came the ability to produce larger panes of glass. 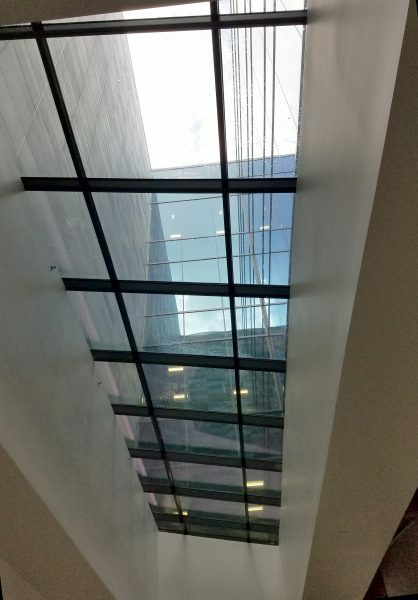 Glass in sheets of up to 6′ x 9′ were fully machine polished and much more clear. 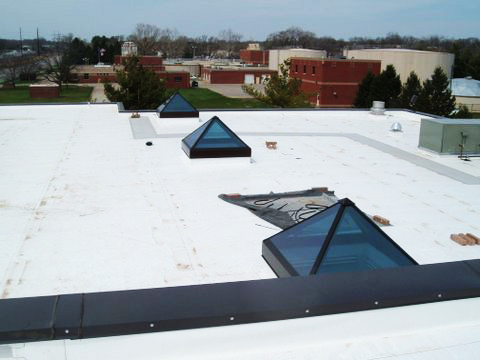 When sheet metal came into production the ability to provide glazing sealed from weather was greatly improved. 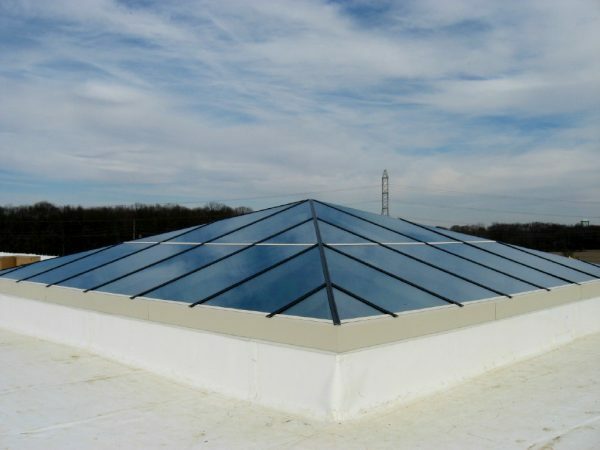 Skylights were now more functional than ever providing light in areas that were destined to darkness without an oil lamp. The ability to add daylighting from above was often used over stairways in many of the more prominent homes. Today, we still have structures with roof lanterns although it is far more popular to have a skylight directly on the rooftop. 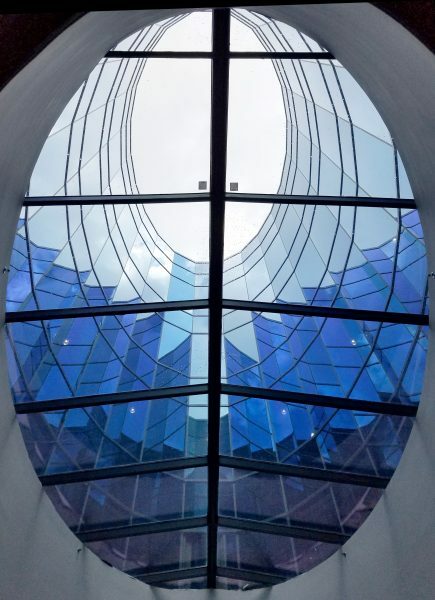 There have been many advances in glazing and sealing beyond Sir Alastair Pilkington’s float glass production method (90% of all glass is made with the float method). Skylights now feature high performance, insulated glass making them energy efficient as well as functional. 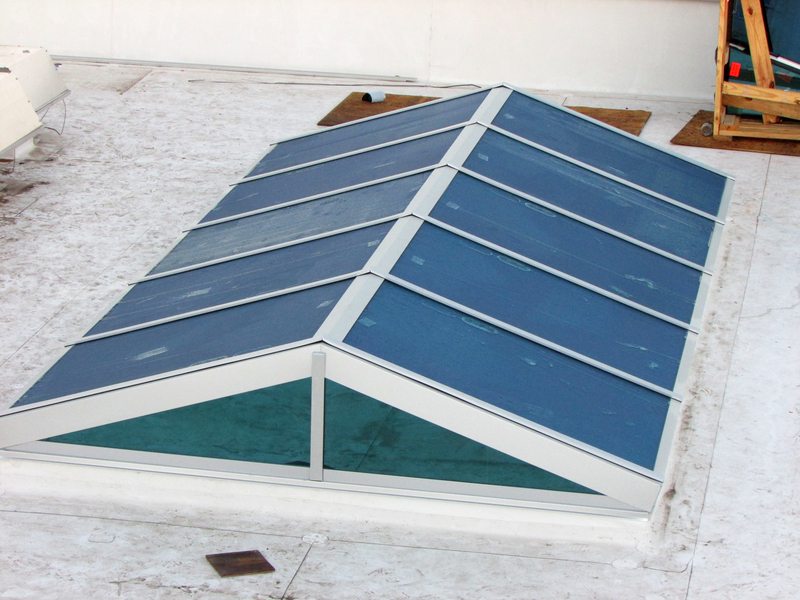 Skylights are often distinguished with custom designs of wood, UPVC, aluminum or a combination of framing. They are water tight and reduce energy loss. It’s no surprise that the more we learn about daylighting; the more we are able to use the sun to our advantage. 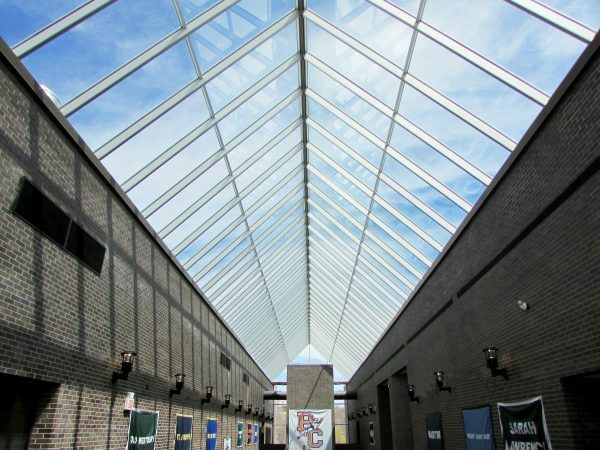 Walls of glass, translucent panels and ornamental roof toppers add classic and fun elements to everything from schools to skyscrapers. Glass manufacturing continues to evolve even today. 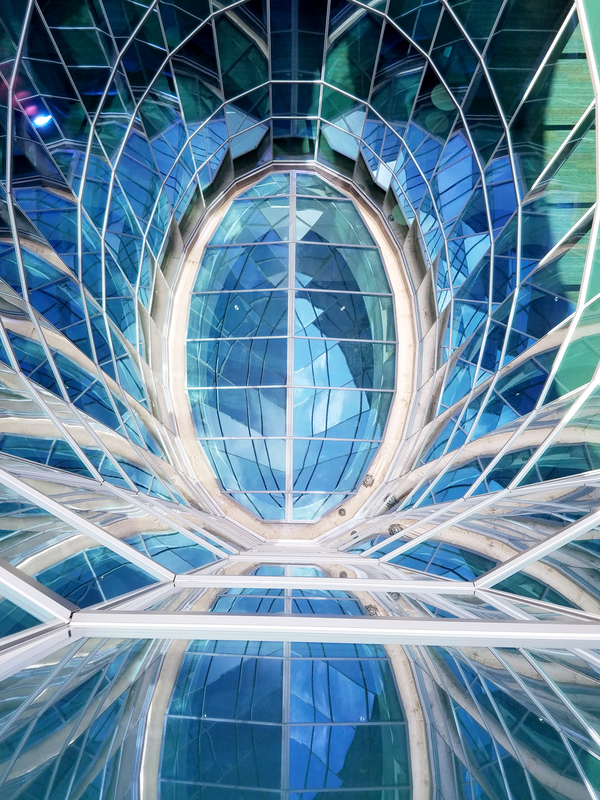 New structures feature glazing that can change from clear to opaque using an electronic pulse activated by a smart phone. 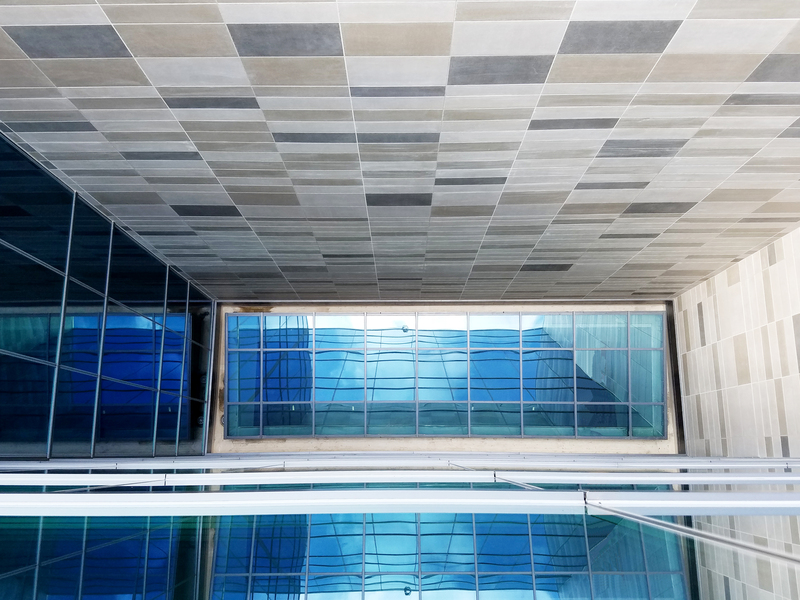 And, as psychologists and architects learn more about how humans respond to natural light, architecture will continue to feature more glazing than ever before. Ancient Romans already knew what we are learning with each new glazed structure, open up that roof and let the sun shine in! Next Post: University of Alabama Rocks!